Rebecca Pender is based in Glasgow, Scotland and one of her many hats she wears is mum to 3 young girls under 6. 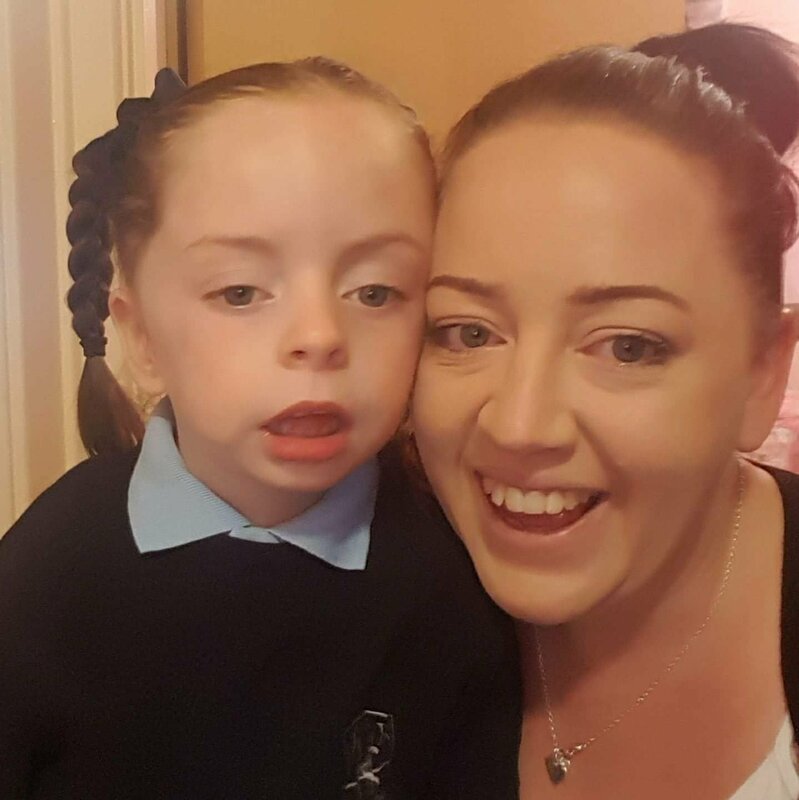 Her eldest daughter Hannah has an extremely rare genetic condition called Inv Dup Del 8p. She also lives with epilepsy, brain abnormalities and a learning disability. As a family they refuse to let any diagnosis or struggle define what they can or cannot achieve, they may just have to improvise the plans. A graduate of the internationally recognised Partners in Policymaking programme, a leadership programme for parents of disabled children and disabled self advocates, Rebecca is a huge champion of disability rights and is determined to break down barriers for disabled people in areas like inclusion, collaborative care with health providers and social injustice. You can follow her on Facebook and also on Twitter. Every now and then you meet someone or a group of people and they have a profound impact on your life. It might be an incidental meeting and you never cross paths again or it might be your best friend. Sometimes it’s an entire group of people which is the case for me in the last few years. There is a saying that goes there are friends for reasons, seasons and lifetimes. They also say it’s all about being in the right place and the right time. For my family and I, Partners in Policymaking came along at the right time but I felt I was in the wrong place. We had spent 5 years in fight mode, expending precious energy on fighting battles in the wrong way. The previous 12 months had been particularly difficult including poor health for everyone, homelessness and DLA tribunals not forgetting fighting social work, the education system and public transport while raising 3 children under 5. I thought I knew lots about disability and inclusion but boy was I wrong. I applied for Partners thinking it would teach me how to get a Self Directed Support budget and I would get 8 nights away in a hotel for some respite. What it gave me was so much more that’s it’s hard to quantify in words. We still don’t have an SDS budget but we are well on our way to having a good life and my family has thrived beyond my imagination or expectation. Partners challenged my beliefs and preconceptions surrounding inclusion. I thought I was inclusive but I had so much to learn. When I began Partners I was depressed, stressed, exhausted mentally and physically, overweight and I felt completely broken and beaten down. I had no vision for the future for myself or my daughter and honestly I felt lost. Everyone told me that the course would be life changing but I just couldn’t see it. Piece by piece every month, the jigsaw pieces all started to come together, first the foundations of what a good life could look like, that it was ok to dream big, and then the realisation that I had been using Hannah’s disabilities as a shield to hide behind. My mantra had become “oh I can’t do that… I have a disabled child”. But she wasn’t holding me back, it was my own fear of putting myself out there that was. Once I got over that hurdle I began to feel stronger and stronger and as the months passed my confidence grew and I started attending events at parliament, giving speeches to politicians and forming plans and ideas of how I can help change the future landscape in Scotland. For the first time in my life I can see our future and it’s so so bright – for every member of our family. Partners has given me more than I had ever though possible. It’s put me back together again, challenged and changed my beliefs, put fire in my belly and a spark in my soul. I can advocate better, conserving that precious energy and I’ve realised that the only limitations set on Hannah’s future are the ones society puts on her, limitations that I will challenge and push the boundaries of ableism and inclusion so that every child in Scotland has the same opportunities regardless of ability. The people I met on Partners have become friends for life and a whole new army of allies and inspiration to keep me going in those times when it’s hard to see the light. I graduated feeling stronger than I have ever felt in my life and I still have so far to go, but it’s no longer an uphill battle because I have a partners team now to walk along side and make the load lighter. I’m now part of a community of Partners graduates and professionals with a shared vision. I’ve learned how to work together with professionals and also how to celebrate our differences and abilities,rather than focus on what’s wrong. We’re going forward celebrating everything that’s great and everything we can do. We’ve ditched the negativity and the jargon. We’re no longer stuck, just surviving, we’re full steam ahead forging new connections, embracing the future and enjoying every single day. I could write for days about everything that partners has given and inspired in me as it’s so much more than the course description. It’s life changing and life improving in the most unexpected of ways, and if you let it, it makes you grow and flourish in ways you thought were inconceivable. There has been a lot of hurricanes and storms recently. Irma and Harvey ravaged South and North America, Ophelia had a crack at Ireland and Brian tried to do his worst but it was relatively calm here in Scotland. The weather in house Pender has been relatively calm here too. Living with a child with life threatening Epilepsy is like waiting for a hurricane to strike. However unlike our eponymously names weather bombs the epilepsy weather bomb doesn’t come with a three day forcast. There is no rushing to the shops to stock up on back-up supplies or boarding the windows to minimise the damage. Epilepsy strikes with no warning, no strong gale building overnight into a hurricane force. It goes from Zero to a category 5 hurricane in less time it takes you to remember where the emergency rescue medication is. We are lucky we get a small warning in that Hannah always vomits immediately prior to a seizure giving you about 60 seconds to grab the meds and place her in the recovery position waiting for it to start. Sats monitor and stopwatch at the ready incase it goes over the 5 minutes and slips in to a status epilepticus seizure. Between 4 and 5 minutes is the eye of the storm. It’s either going to change course and spare everyone in its path or it’s going to strengthen and turn an ordinary day into one being blue lighted to resus where we don’t even have to give her medical history anymore and we know all the emergency medical staff by first names. Sometimes we are lucky and the only casualties are the kids who have been scattered to trusted family for the night and our sleep for a night until she gets home after being monitored (Hannah’s seizures usually come in twos). Other times the storm sticks around while we get repeatedly blown over like 3 years ago when she spent 5 days on life support and a ventilator fighting to stay with us. Although it strikes without warning we are always prepared. Always waiting for the storm clouds to roll in. Rescue meds placed in various easy to reach places, care plan on her person should it happen when we are not there and a go bag in the cupboard by the front door with all the essentials for either parent to spend the night at the hospital as comfortable as you can be. Spare socks and underwear, toothbrush and deodorant along with snacks, water and phone chargers, and Hannah’s comforts like a blankie and her tablet and her medical records. The last thing you want when the ambulance is coming is frantically trying to pack a bag of essentials. That being said while we are prepared for the inevitable it doesn’t stop us living. If we sat around everyday watching her every move then we would be hermits. We can be prepared but still enjoy life. We can be mindful that something may be around the corner or it may just be a normal day. We can range from almost 30 seizures in one day to our longest stretch seizure free which was 11.5 months. I choose to dance. I choose to let Hannah dance but it never hurts to have a contingency just incase the clouds come. 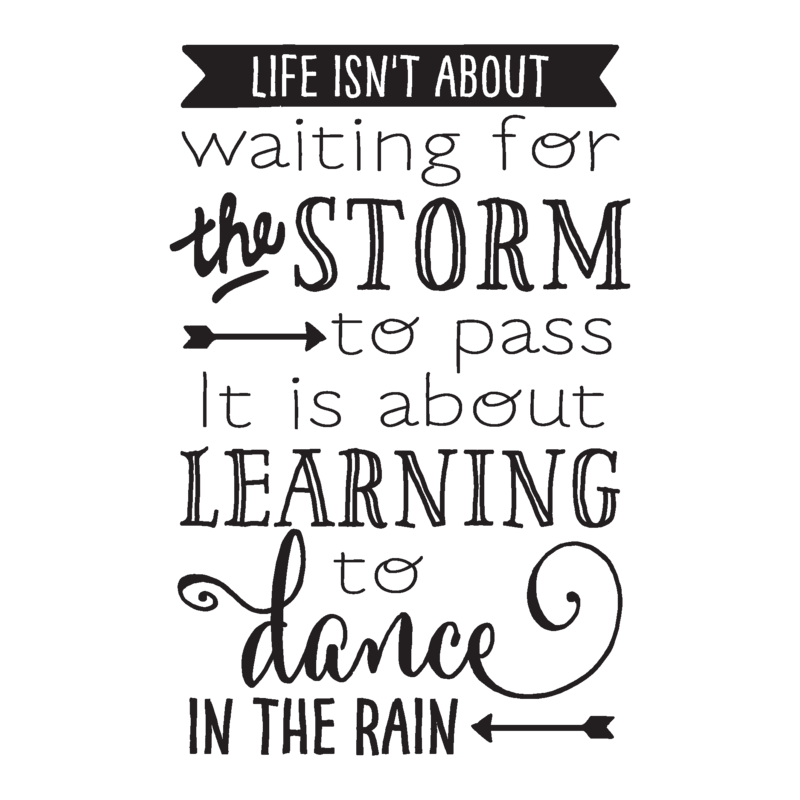 Author Rebecca PenderPosted on October 27, 2017 October 29, 2017 3 Comments on Living the storm….. Sitting in the chiropractors office a little over three years ago came a phone call that came with such a barrage of emotions that I simultaneously cried and felt relief. That phone call vindicated everything we had battled to figure out, yet also created more questions that were unanswerable as yet. The chiropractors appointment was for Hannah. We were still struggling with muscle tone and getting her to stand without her legs buckling underneath her at 18 months old. We were going to vast expense to try alternatives as we weren’t getting anywhere with the health service. Over those 18 months I heard every excuse for her lack of hitting milestones. “She’s lazy” to cite one doctor. “You’re just an over protective and hypervigilant first time mum” said another. We fought and fought. Changed healthcare providers then finally someone listened. Our new health visitor came to our house and listened while I listed what my concerns were. Let me tell you, it’s incredibly difficult to say out loud “I think there is something wrong with my child”. But to repeatedly do so and be repeatedly rebuffed it’s very hard to keep going. But we did and we got answers. The health visitor asked me once I had finished “What do you think is wrong with her?” I remember gulping and saying “Honestly, I think she has cerebral palsy” and for the first time someone didn’t look at me like I was crazy. She just nodded and said “I agree”. We were reffered to a paediatrician who decided in addition to an MRI scan we should do a genetic test called a Microarray. This would identify if Hannah’s difficulties were genetic or if they corresponded to a difficult birth where she had to be resuscitated. When that call came I won’t lie I was blindsided. Genetic. Like Downs Syndrome? My knowledge of genetics was limited I couldn’t even pronounce chromosomes correctly. I was 16 weeks pregnant with Molly. Would she have it too? 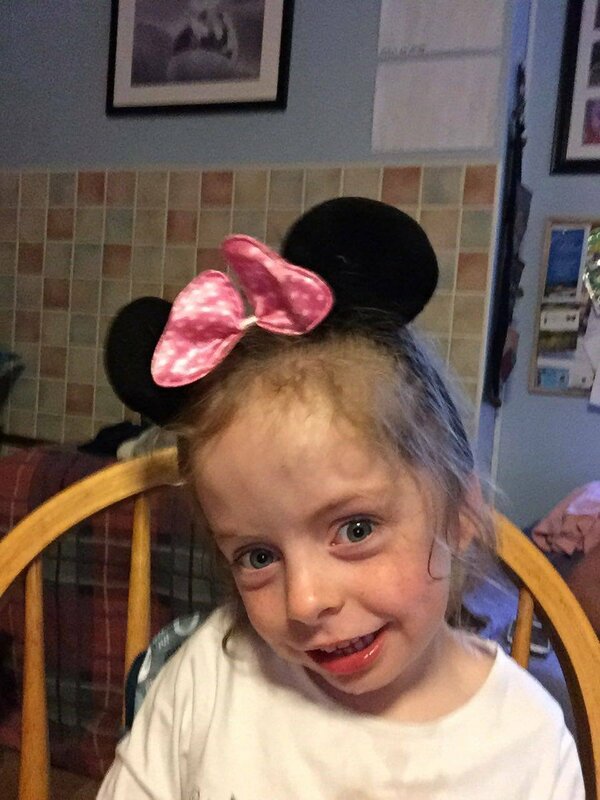 The paediatrician said some people have deletions and duplications of genetic material and it means nothing however for Hannah we believe it’s significant. We were given an emergency appointment to see a geneticist in 2 days time and instructions to write a list of questions. I remember going home crying on the bus and realising that Hannah officially had special needs. She always did and I always new it but there was a finality to it if that’s the right word. That night I sat on the phone with my own mum and we read the only pamphlet online that exists about her condition. It was like someone had spent everyday of her life with Hannah and written specifically about her. I finally felt relief. I had a name albeit not an eponymous one which told me why she had her struggles. I had a direction to go in. There were others travelling our path we could connect to. It wasn’t my fault. Hannah’s condition is De novo meaning its a new genetic variation not inherited by either parent. The chances of having a second child with the same condition was smaller than having the first. I could now research but more importantly now that we had a diagnosis suddenly we had referrals for Speech and language therapy, physiotherapy, occupational health, neurology, early intervention and a host of other therapies and appointments. My girl was going to get help. WE were going to get help. And most importantly we were not alone. Over the last 3 years we have connected with most of our “8p family” online and what a wonderful bunch they are. We are very lucky. We live in a progressive country with a world class health system, we have a host of information at our fingertips and we have an amazing daughter who defies the odds at every single turn. That geneticist told us not to expect Hannah to ever walk or talk. She has 5 words and pegged it down the hall this morning when I went to change her nappy only stopping because her coordination skills caused her to epically ricochet of the sitting room door into the couch where I caught a squealing giggling monkey with the biggest dimples ever. I say that first phone call had a finality to it with her diagnosis. In reality, it was just the beginning of an incredible journey. A journey of self discovery for all of us. A journey of loss, triumphs, grief and elation, sadness about also great happy moments. The best part is we are still writing it. Our journey is far from over and we get to shape it how we want with the odd curveball thrown in for good measure. Author Rebecca PenderPosted on September 27, 2017 October 27, 2017 Leave a comment on Inv Dup what? Welcome. My name is Rebecca and I am mum to Hannah 4 , Molly 2 and Daisy 3 months. Hannah has an incredibly rare genetic condition called Inv Dup Del 8p. There are only 65 registered cases worldwide and she is the only one with her karyotype. She is a truly unique and amazing little girl who lights up every room. No one she meets ever forgets Hannah. I have started this blog for a number of reasons. To improve awareness and understanding of rare conditions without a proper name, to share the highs and lows of our chaotic “real life” and to satiate a lifelong desire to write. I am about to start a course specifically to help improve services for disabled people and look forward to sharing with all of you what our life is like with Hannah, me and Inv Dup Del 8p.